10.000 email gratuits par mois ! Yes Online ticketing system Yes Yes Support mail - téléphone Yes Basic: Included, Developer: $49/month, Business & Enterprise prorated. Yes Live Chat, Tickets, Phone, Skype Yes Support téléphone, live chat, twitter, facebook et en français Yes Online form submission. Yes 24/7/365 Via Phone, Email or chat Yes 24/7 Email Support. Online form submission. No Phone Support. - Online form submission Yes Yes Online form submission Yes Support by email around the clock. Live chat. Yes Across 3 Global Time Zones - Online ticket generation Yes Online ticket generation. The fact that they store outgoing emails is huge. Pour moi le top, ça fait 3 ans que j'utilise cette solution. C'est complet et ils rajoutent tout le temps des nouvelles fonctionnalités sans augmenter le prix donc tout benef. Je recommande. 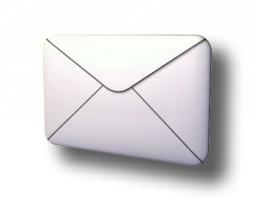 This is a great email marketing tool providing marketing automation, landing pages, surveys, sms. This is an all-in-one platform, very easy to use, as an online marketer. Actually, screw my previous comment. I take it back. They require business verification, and you have to jump through all these hoops for them to allow you to use their service, then beg them "oh pretty please" let me use your service oh wise Rackspace gods. Sod that, no time for that.